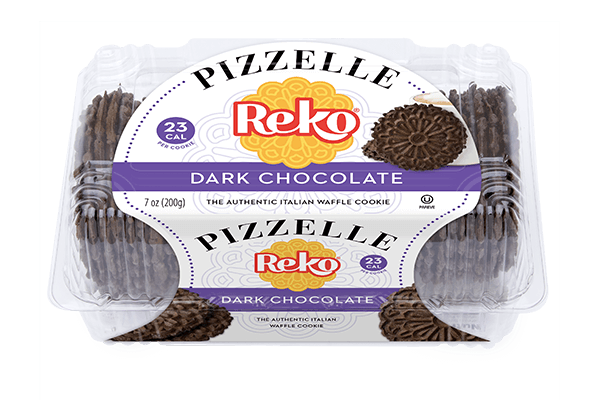 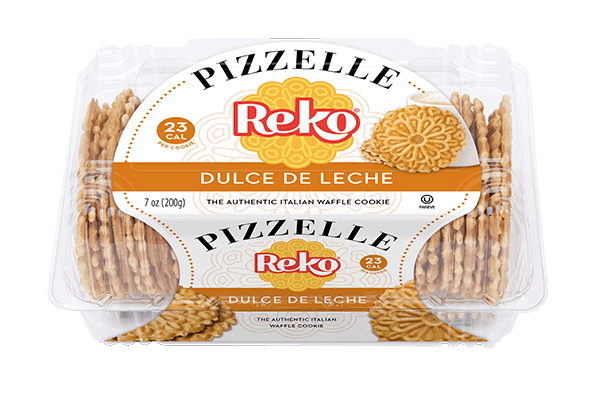 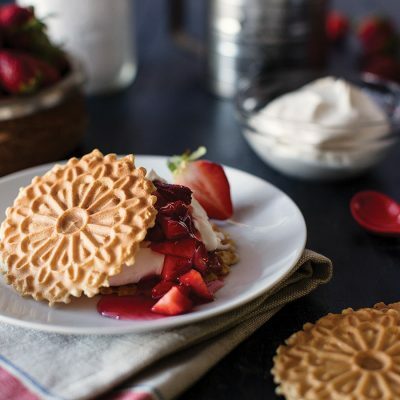 The smooth taste of caramel in our Dulce de Leche Reko Pizzelle cookies will have you savouring every bite. 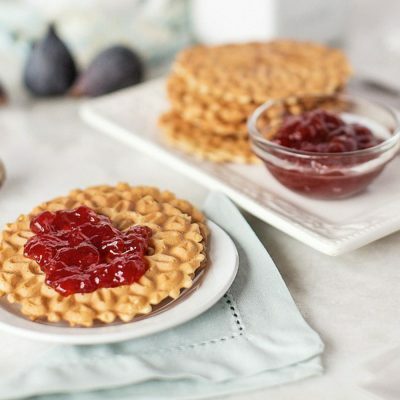 Enjoy as an after dinner snack to satisfy your sweet tooth. 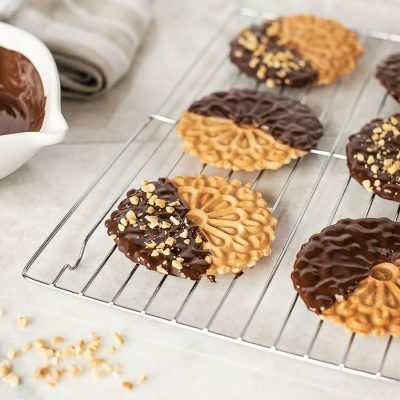 Flour, Sugar, Liquid Whole Egg, Canola Oil, Soy Lecithin, N&A Caramel Toffee Flavor, Caramel Color, Baking Powder, Salt.